Russian President Vladimir Putin has signed into force a law which is clearly aimed at preventing divulgence of information about Russia’s military engagement in Ukraine and other countries. Had the law been in force in July 2014, crucial information about the secret transportation to Ukraine of a Russian BUK missile carrier and its use in downing Malaysian Airliner MH17 would have never come to light. The same applies to other revelations that can serve as evidence of war crimes at the International Criminal Court at the Hague. The bill on amendments to Russia’s Law on the Status of Military Servicemen, signed on 6 March, 2019, introduces a very long amendment to Article 7 (‘Freedom of Speech’). This prohibits soldiers, including young men doing military service [conscripts] from using smartphones and similar devices connected to the Internet, or from revealing information to the media and social media about their location and movements. The extent of the ban on divulging information has also been broadened, with the term ‘military secrets’ being replaced by the rather vague ‘secrets protected by law’. The ban on smartphones and such electronic devices does not apply to the ordinary mobiles which do not take photos and in other ways circulate incriminating evidence via social media. The law is likely to increase the already alarming level of impunity with respect to hazing and other forms of ill-treatment within the military. Its primary objective, as mentioned, almost certainly lies elsewhere, namely in the serious weight of evidence amassed on the social media, as well as information passed to the few independent media willing to touch the subject in Russia. The Russian Defence Ministry had long been seeking such restrictions, and back in February 2018 issued directives “of a recommendatory nature”. The draft bill to legislative against such revelations was first tabled in September 2018 and has now passed into law. The explanatory note to the original bill avoided any mention of Ukraine, but did refer to the deployment of military personnel in Syria. It states that “military servicemen are of particular interest to the security services of certain countries, terrorist and extremist organizations. 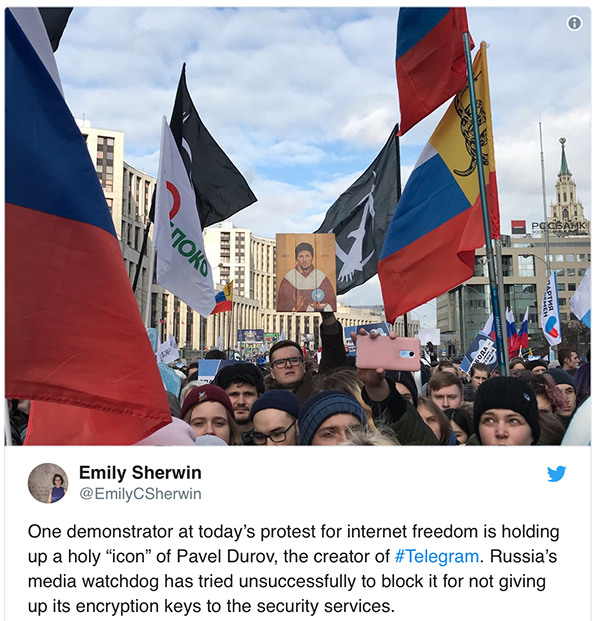 Information posted by military servicemen on the Internet or mass media is used for information or psychological influence, as well, in particular cases, to form a biased assessment of the Russian Federation’s state policy”. It is likely that security measures are applied in other countries to protect military servicemen, and it is doubtless true that careless divulgence of information can put people in danger of abduction or terrorist attacks. The problem here, however, is that the ban covers exactly that evidence which has enabled Bellingcat; InformNapalm and other investigative journalists to track Russian illicit military activities in Ukraine and Syria. Social media posts enabled Bellingcat to track the route of the Buk missile from Russia to Snizhne in militant-controlled Ukraine and then, very swiftly, back again across the border into Russia. Such findings, together with other proof, were used by the Joint Investigation Team which on 24 May 2018 published its conclusions. 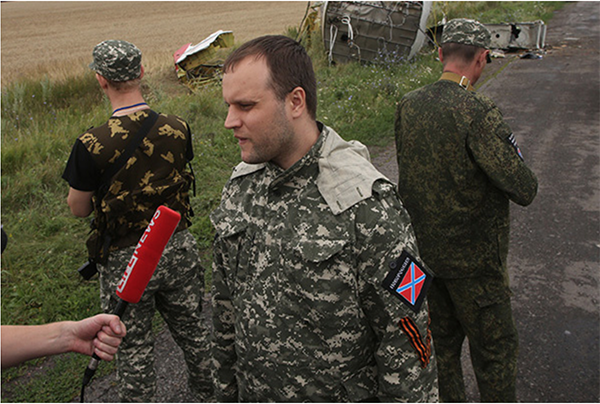 The international investigators found that “the Buk missile which downed Malaysian airliner MH17 on 17 July 2014 came from the 53rd Anti-Aircraft Missile brigade which is a unit of the Russian army from Kursk in the Russian Federation”. 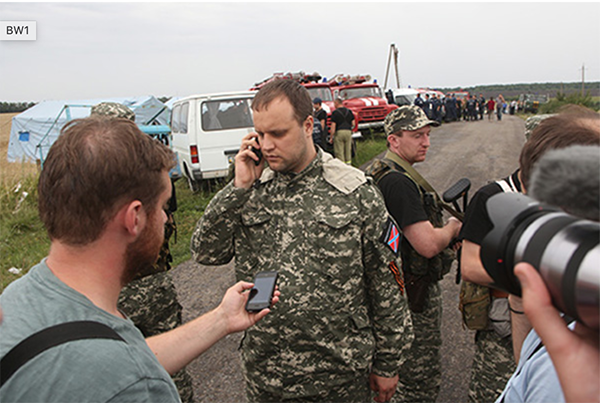 Among the many social media posts that have given the lie to Russia’s denial of its military engagement in Donbas was the state award given to Alexander Minakov for his role in the battle for Debaltseve in the Donetsk oblast in February 2015. The fighting to capture that government-controlled city continued after Putin agreed a ceasefire as part of the Minsk II Agreement on February 12, 2015. Journalists from the Citizens Intelligence Team extensively used information divulged via social media for their conclusions about Russia’s military role in the battle and that it was Putin himself who ordered the offensive. It is no accident that soldiers are told to watch the traces they leave in social media, since this has also been vital in showing how Russia later tried to falsify evidence. There was, for example, a swift move, which InformNapalm spotted and foiled, to conceal the page on VKontakte of 22-year-old Russian soldier Viktor Ageyev after he was captured on the territory of the so-called ‘Luhansk people’s republic’. There is considerable evidence also of Russian weapons, tanks, etc. used in Donbas, from ‘selfies’ taken by soldiers or Russian mercenaries. On July 23, 2014, Russian soldier Vadim Grigoryev posted an incriminating photo with the caption: “We pounded Ukraine all night”. This is just one of numerous photos which are often deleted later, but which have by then been recorded – see, for example, the collection made by The Insider. Such selfies were used by the United Kingdom’s public prosecutor as evidence that Ben Stimson had taken part in the fighting in Donbas on the side of the Russian-backed militants. Stimson was sentenced in July 2017 to five and a half years’ imprisonment on terrorist charges. Although Sergei Kiselev’s involvement in the war in Donbas first attracted the attention of the German authorities because his uncle and Putin’s chief spin doctor Dmitry Kiselyov spoke about it in an interview, social media posts were certainly used as evidence for an initial jail term in Germany and further investigation. The bill now in force will make it illegal for the Russian contract soldiers who were imprisoned in 2015 for going absent without leave rather than fighting in Donbas to speak with the media. It was telling that the harshest sentence then was passed against Alexander Yenenko who had been most open in talking with Novaya Gazeta. Moves aimed at forcing Russians into silence about Moscow’s undeclared warfare are not new. On 28 May, 2015 Putin issued a decree, classifying as secret information about military losses in peacetime. Other measures have ranged from the arrests of civic activists like Svetlana Davydovaand Ludmila Bogatenkova to a mixture of threats and pay-outs to the families of men killed. In April 2017, Valentina Melnykova, Head of the Union of Russian Soldiers’ Mothers Committees, said that she believed that no less than 1500 Russian military servicemen had died in Donbas, but that this was the first war she was aware of where the families of young men killed were not approaching the committees for help. She added that it was hard to understand “why Russian families agreed so easily to this silence, to this anonymity”.